Harvard Admissions Secrets Emerge; Defrauded Borrowers Can Now Seek Loan Forgiveness Also this week, dozens of lawmakers ask Education Secretary Betsy DeVos to look into the troubled Public Service Loan Forgiveness program. After more than a year of delays, an Obama-era rule granting loan forgiveness to defrauded student borrowers went into effect this week. 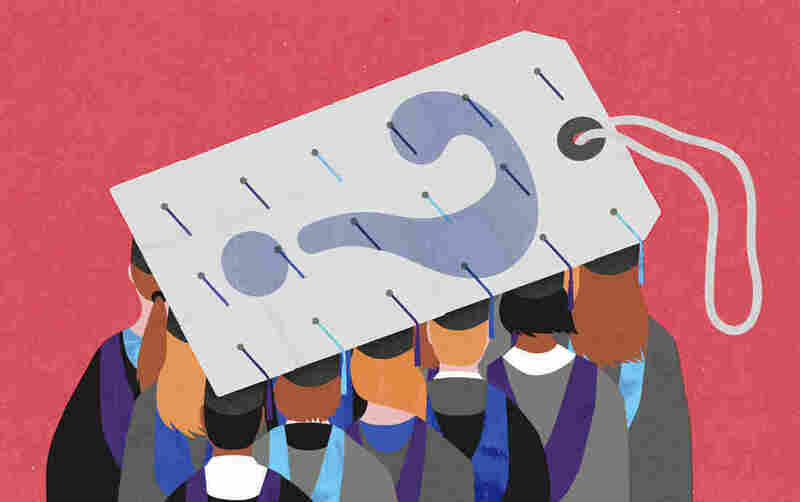 The rule, known as Borrower Defense to Repayment, applies to students who attended a for-profit college that broke consumer protection laws or lied about measures of student success, such as job placement rates. It's one of a number of Obama-era rules targeting private, for-profit colleges that the current Department of Education, led by DeVos, has rolled back or delayed. The department initially delayed the rule's implementation in 2017, and this week, U.S. District Judge Randolph Moss denied a request by the California Association of Private Postsecondary Schools to scrap the rule entirely.